Getting married is a very special moment in one’s life! 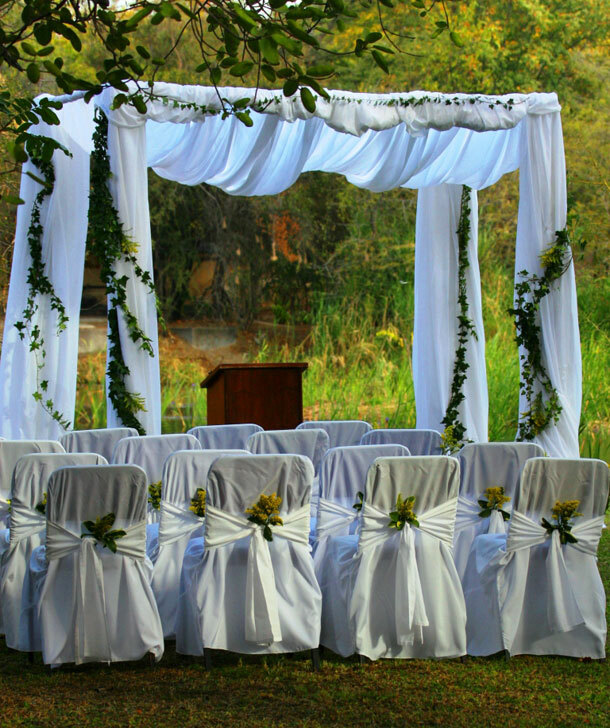 Exchange your vows in our intimate surroundings with indigenous gardens and let nature stand as your witness. Sefapane lodge is situated 1 km from the Phalaborwa Kruger National Park gate. We have put together a special wedding package. However if you have other things in mind we are very happy to make a special tailor-made package for you. Sefapane Lodge staff will ensure that everthing is taken care of to provide a truly stress-free experience. To book your special day here telephone Cheryl Bingham +27 (0)15 780-6700 or for further details or to make an enquiry visit Sefapane Lodge & Safaris.